I hope you’re all having a good week. The time is racing by and I’m willing the summer to slow down a little so I can savour these last few weeks of August! 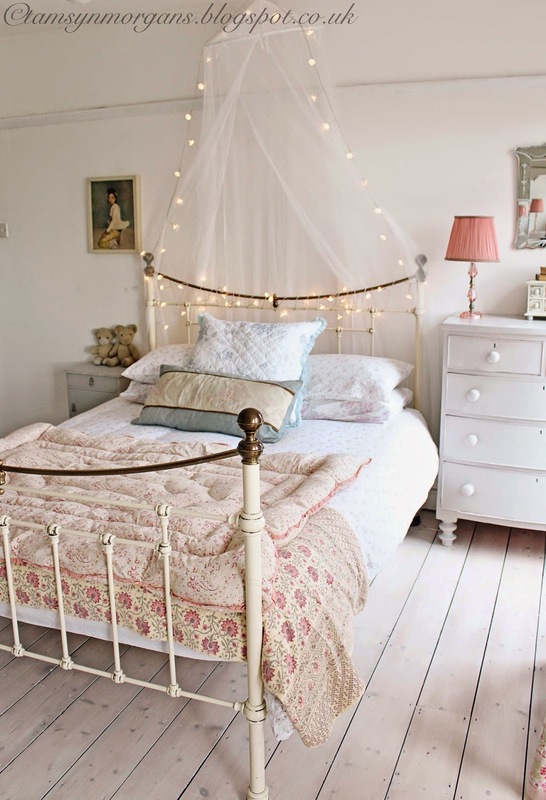 So, here is Part 2 of my bedroom reveal. 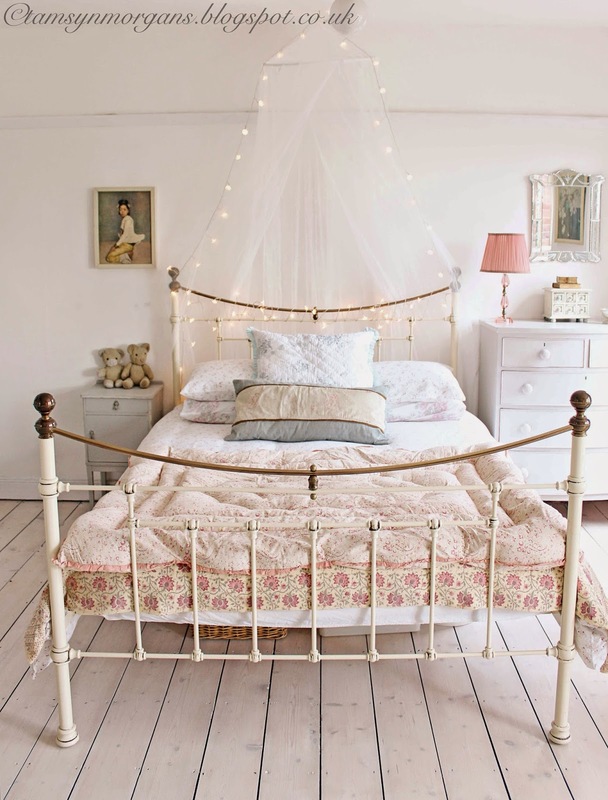 I’m on the lookout for a wooden carved bed, maybe French style, so I’m saving my pennies. The beautiful old chest of drawers came from a house clearance, and I painted them in French Grey by the Little Green Paint Co. 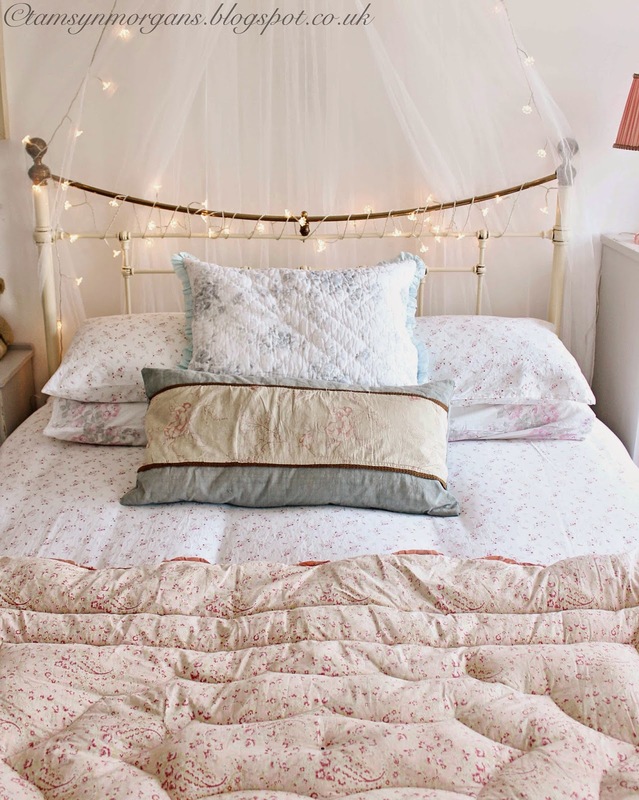 The eiderdown on the bed is vintage, and the gorgeous bedlinen is from Rachel Ashwell’s Shabby Chic range from House of Fraser, I love the ditzy floral print. The lady herself left a comment on the picture of my bedroom I uploaded to Instagram, and although it was just one word, it made my Saturday night! 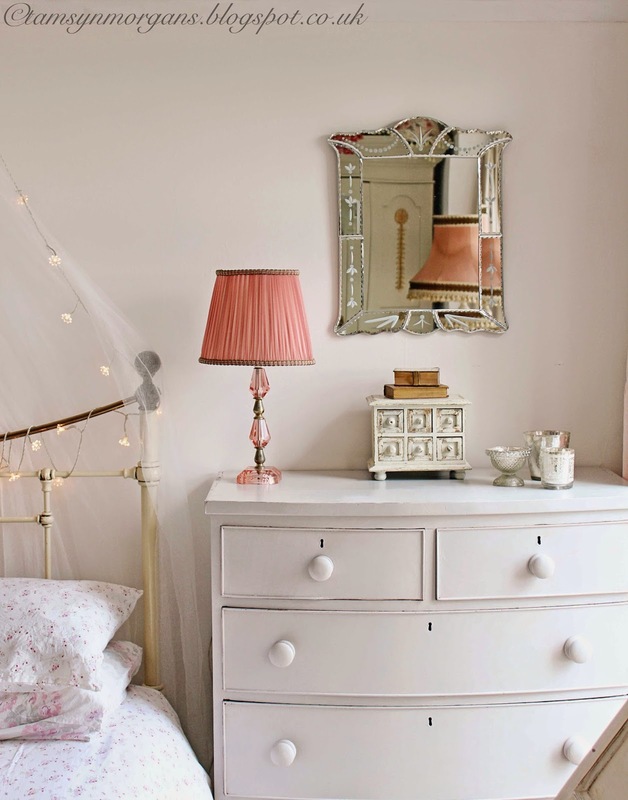 I still have another corner to share with you as this room is so huge, and I think it might be my favourite part of the whole room as it’s where my vintage dressing table lives!